The Singel Canal encircles the city of Amsterdam and has been around since the middle ages. It was used as a moat during the earlier times of the city, up until the year 1585. 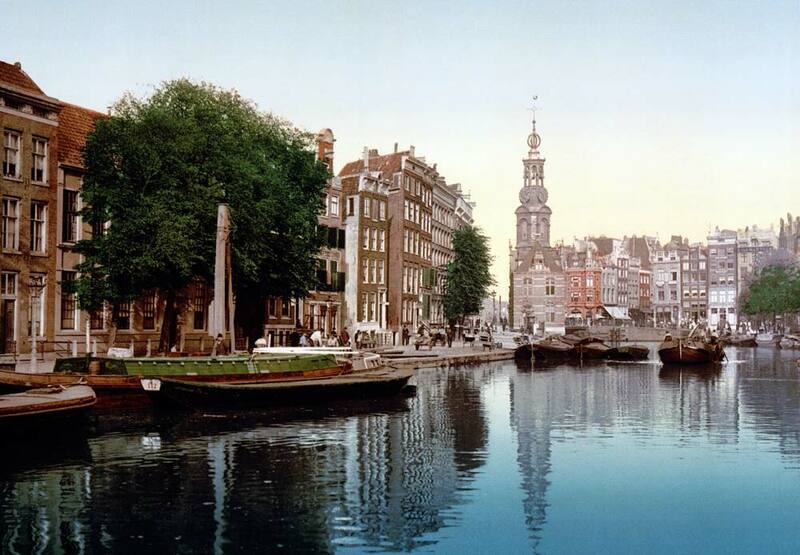 This was when the city of Amsterdam grew and expanded beyond the canal. The canal starts at the IJ bay, near the central station of the city, and can be followed all the way up to the Muntplein Square where the canal ends at the Amster river. The Singel is now the inner-most canal within Amsterdam. There are other ones within the city which also take on a semi-circular shape. The canal can often be confused with the Singelgracht Canal, which was used during the Golden Ages or the 18th century. This canal is in the outer part of the city, but also takes the shape of the Singel Canal. There are other Dutch towns outside of Amsterdam which are named Singel. However, the Singel within Amsterdam is probably the oldest location. Holland is known for its beautiful flowers, Tulips to be precise. There is a flower market on the Singel Canal which consists of small boats for stalls. The vendors load their merchandise and float along the canal in search of customers. The area known as Singelgebied, is along the canal area and is known as the red light district. This is where prostitutes can legally render their services behind red-lit windows. One house, which is said to be the narrowest in the world, portrayed in many television shows and news stories, is along the Singel. The address of this house is Singel 7. The house on Singel 140-142, De Dolphijn, was once inhibited by the famous Frans Banning Cocq. This structure is now known as a monumental canal-side house.